Supports Pale Moon [25.0a1pre - 28. *], Firefox [1.5 - 56. *], SeaMonkey [2.0a1 - 2.55], Fennec [2.0a1 - 40. *], Firefox for Android [10.0a1 - 56. *], and AdBlock Browser [1.0 - 1.3.2]. NOTICE: The Browser you're using may not be supported by Fierr. If you believe this to be in error, please check your browser's User Agent settings. Fierr is free software supported by donations, not advertisements. Welcome to the Fierr home page! Arguably one of my more popular programs, Fierr has a long history of making network errors look better. The most noticable change Fierr introduces is the actual error screen. A new layout provides large, clear information about the type problem your browser had loading a page, complete with background and icons to match your browser. 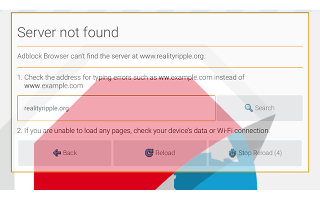 After ten seconds, the error page will try to reload unless you click the Stop Reload Button beforehand. If your browser is in offline mode, a Go Online Button will be displayed so you can quickly get to the page you need. If the page doesn't load, you can use the Search Button to try to find the site you're visiting. 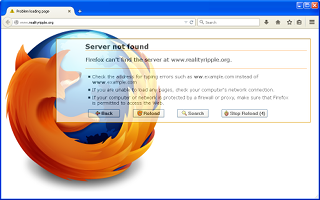 Since Fierr's final release for Firefox in April of 2015, Mozilla has abandoned its own technologies in favor of poor parody of Google's protocols (WebExtensions), leaving many developers, including this one, disillusioned with the direction the Mozilla is taking. 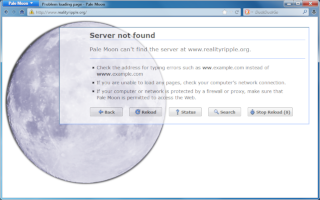 In contrast, Pale Moon has stepped into place as an XUL-centric browser, keeping backward compatibility better than Mozilla's own flagship project. So, for now, Fierr may be considered a Pale Moon and SeaMonkey extension that still supports older versions of Firefox. Fierr is free for use or modification without limitation. However, it comes with no license, warranty, or guarantee of any kind. That being said, you can still ask any questions in the Comments section below, or contact me directly for assistance.